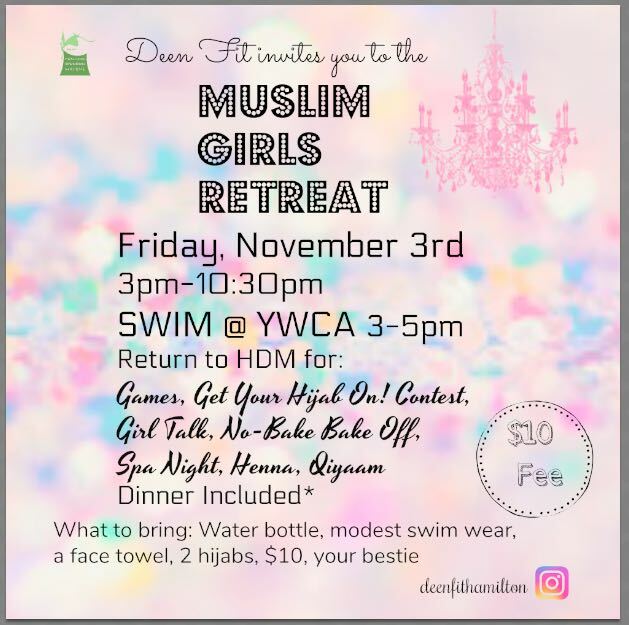 Muslim Girls Retreat featuring swimming, girl talk, hijab fun, no-bake bake-off, spa night, henna, and more! 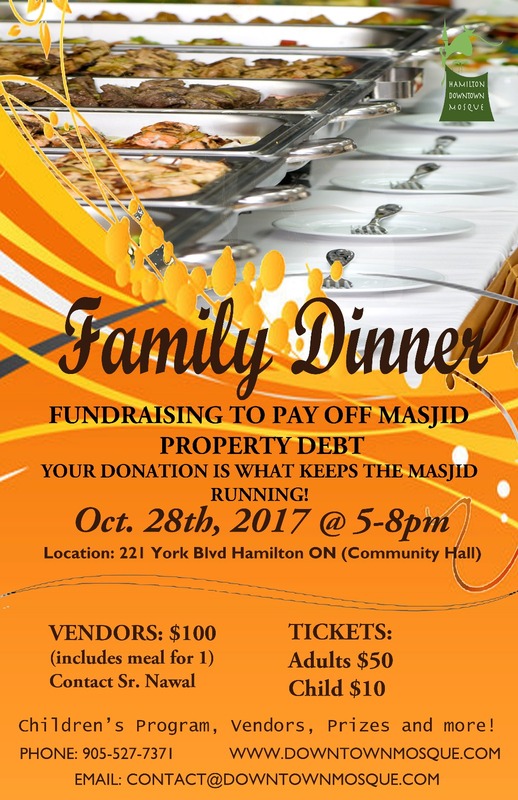 Family dinner to help pay off the remainder of the masjid property debt. Date: October 28, 2017 at 5pm. Please visit the Hamilton Downtown Islamic School website for information relating to the school, admissions, and employment opportunities.